I’m not exactly sure why I do it, but I’ve acquired the peculiar habit of naming things over the years. I think that perhaps it’s a lot like the idea of a fisherman naming his boat for good luck. I’ve had names for not only automobiles, but household appliances like the coffee maker. I remember we had one that we called Malita… it was a piece of junk. The reason I’m writing this is that my wife and I were on the couch last night setting up a new hard drive under the television for storing music, movies, and Tivo recordings on, when I paused and said “what should we name it”. We spent the better part of the next twenty minutes discussing it. And while it’s a given that we name drives, servers and computers, I’ve actually put some thought into it in the past ( e.g. tweet ) and I tend to try and make the names meaningful. I’m pretty sure that while I anthropomorphize objects, I also lean toward mechanomorphism to explain the world around me as well. I don’t think it’s just me. I think we all tend to and others have suggested the same. Here is a research paper on the topic if you’re in for some dry reading. More recently, I’ve been naming the last couple machines after my deceased pets. I logged into and lined up my list of current computers and servers to the right. The last two names are my former pets. Macs was our family dog who died in the mid 90’s. 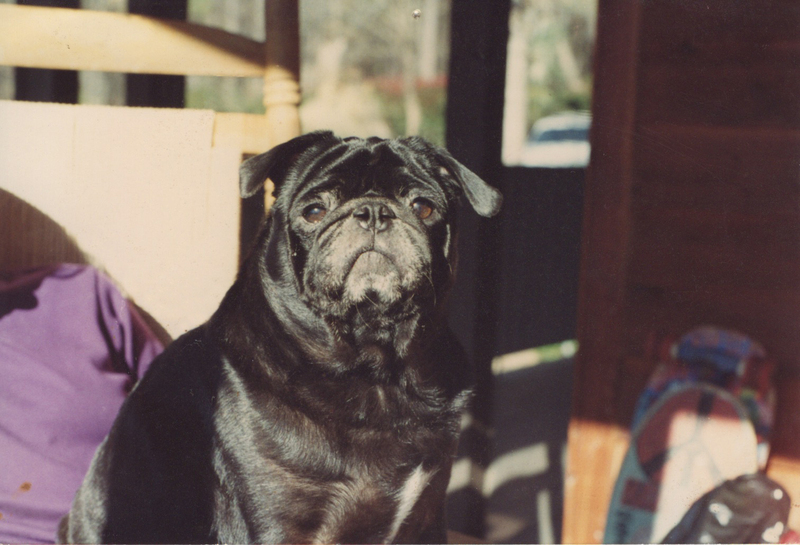 He was a black colored pug and quite the character. I named my working laptop after him. I think it started as a play on the word Macintosh, but I only think about the dog now. 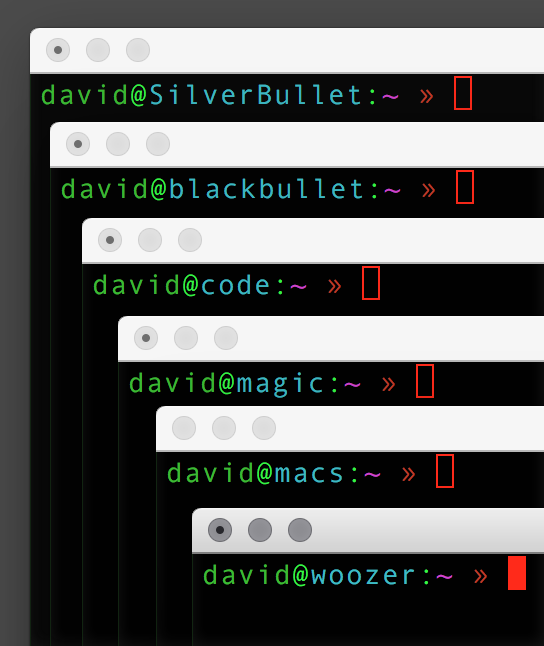 Sometimes when I’m working, I’ll say “come on macs, what are doing?” I named my most recent server Woozer. I named it after my dog of 14 years that died earlier this year. Her name was Boozie, but we called her Woozie and Woozer. She was spunky, kind, and smart… just a great dog in every respect. Aside from it making talking to the computers easier, which I tend to do a good bit, I’m not exactly sure why I’ve been naming them. However, I can tell you that in this case it gives me a little smile every time I log into a machine that spits out my former pet’s name.